A burger chain in California will scan your face to take your order, and they’ve tapped a global surveillance-technology firm to help them do it. CaliBurger is currently testing out kiosks equipped with facial recognition at its Pasadena location, giving customers who sign up for their loyalty program the option to link their faces to their past preferred orders, which will pop up automatically on future visits. Starting next year, the company will even let customers pay with their faces, the company said. Not only do you get to place an order with your face, you can earn CaliCoin loyalty points while doing it! To bring the brick-and-mortar world into the face-collecting digital future, Cali Group is working with NEC Corporation of America, which created the NeoFace facial-recognition tech used in CaliBuger’s kiosks. NEC’s technology powers facial recognition systems around the world—including, notably, those used for population surveillance. NEC Europe equipped South Wales Police with its flagship facial recognition software, allowing the police force to locate individuals on watchlists using real-time surveillance on its CCTV cameras. NEC rolled out a similar surveillance system throughout major cities in Georgia, using the company’s NeoFace Watch video facial-recognition software to check for “suspicious individuals” in real-time via CCTV footage. And NEC Australia recently teamed up with a vision analytics firm to enable real-time facial recognition from both fixed and mobile cameras, including body cams and drones. “We provide a tool for matching live faces to the face on file,” NEC’s John Wise said. Cali Group’s Miller, meanwhile, assured us in an email that the company is not creating a database of customer photos nor videos—while reminding us that we’re all being constantly spied on by CCTV cameras. “Privacy is our top concern and Cali Group does not sell or lease data to third parties,” Miller concluded. Facial recognition isn’t new, but it’s becoming increasingly common as tech companies and governments turn to this type of biometric data to track and identify individuals. 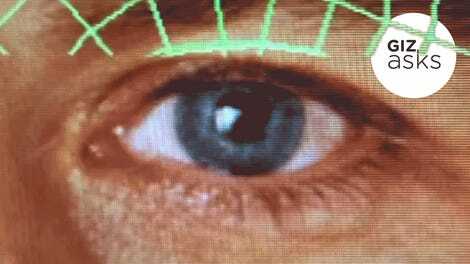 And while not all use cases are outwardly insidious—like ordering a cheeseburger and fries—it’s important to consider the consequences of a database of sensitive facial biometric data.